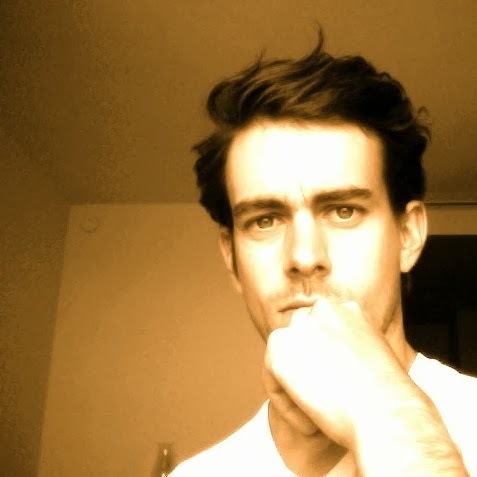 Jack Dorsey, CEO web developer and co-founder of Twitter. I know, right? Photo from impactlab.net. There's an interesting article by Adam Alter in the New Yorker today about pulchrinomics, the economic study of beauty. Here's an excerpt. ...[T]he economist Daniel Hamermesh, from the University of Texas, coined the portmanteau pulchrinomics, the economic study of beauty. Hamermesh and his colleagues have produced a large body of research that is fascinating, if disconcerting: the basic principle of pulchrinomics is that beauty drives economic success. In a 1994 study, Hamermesh and the economist Jeff Biddle examined the income of several thousand U.S. and Canadian workers. When the workers were interviewed, in the late nineteen-seventies, the interviewers recorded their earnings and surreptitiously rated the attractiveness of their faces. Workers who were judged more attractive than average earned a five per cent premium over those of average attractiveness, who in turn earned about ten per cent more than those who were judged less attractive than average. The effect was slightly greater for men than for women, and the attractive members of both genders tended to pursue professions that capitalized on their looks. Here is the description on the back of Hamermesh's book, Beauty Pays. Most of us know there is a payoff to looking good, and in the quest for beauty we spend countless hours and billions of dollars on personal grooming, cosmetics, and plastic surgery. But how much better off are the better looking? Based on the evidence, quite a lot. The first book to seriously measure the advantages of beauty, Beauty Pays demonstrates how society favors the beautiful and how better-looking people experience startling but undeniable benefits in all aspects of life. Noted economist Daniel Hamermesh shows that the attractive are more likely to be employed, work more productively and profitably, receive more substantial pay, obtain loan approvals, negotiate loans with better terms, and have more handsome and highly educated spouses. Hamermesh explains why this happens and what it means for the beautiful--and the not-so-beautiful--among us. What can those of us who are "looks-challenged" ever hope to achieve? Exploring whether a universal standard of beauty exists, Hamermesh illustrates how attractive workers make more money, how these amounts differ by gender, and how looks are valued differently based on profession. He considers whether extra pay for good-looking people represents discrimination, and, if so, who is discriminating. Hamermesh investigates the commodification of beauty in dating and how this influences the search for intelligent or high-earning mates, and even examines whether government programs should aid the ugly. He also discusses whether the economic benefits of beauty will persist into the foreseeable future and what the "looks-challenged" can do to overcome their disadvantage. Trafficking as I do in ideals of physical beauty, I look forward to reading Hamermesh's book.